The famous optical illusion where the boomerangs magically change length. Now this effect comes with 4 powerful and gospel presentations. 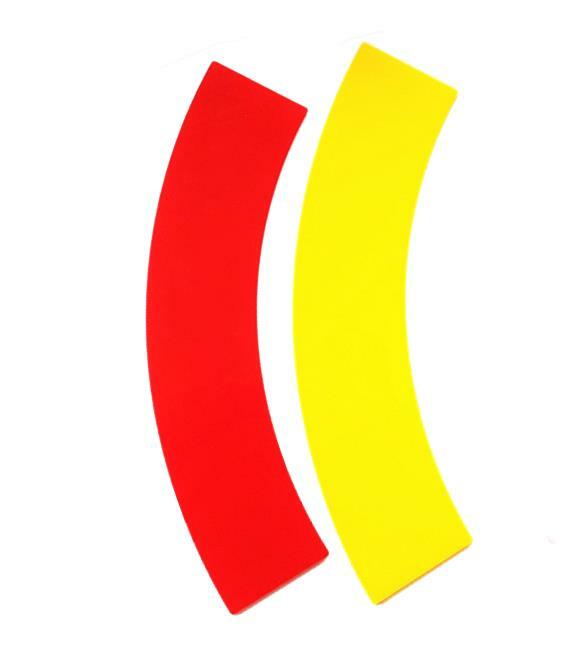 The Performer shows the audience a red and a yellow perspex boomerang. They are placed side by side. ‘Which is shorter?’ he asks. ‘The red one’ everyone replies. The Performer then turns the boomerangs around. 'Which is shorter now?'. 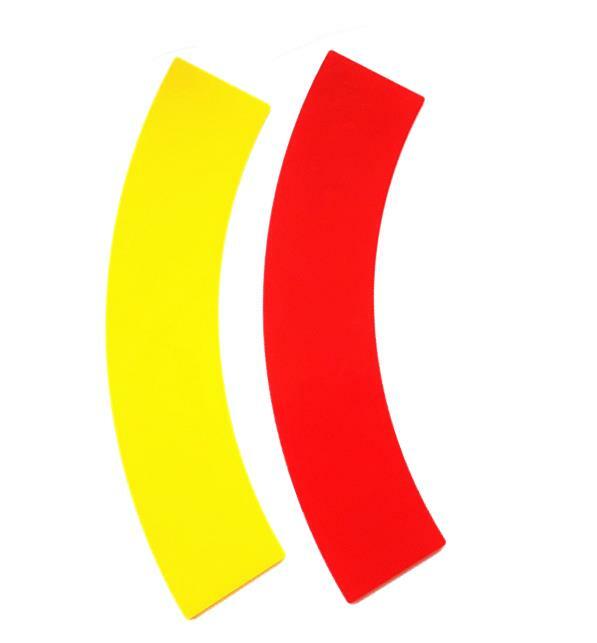 To everyone’s astonishment the yellow boomerang is now shorter than the red. ‘Perhaps your eyes are deceiving you?’ and the Performer places the two boomerangs on top of each other, showing that they are actually exactly the same size. The audience is utterly baffled. An incredible illusion to open any show. The red boomerang is clearly shorter...or is it! Is seeing really believing? Use this illusion to give x4 original biblical messages. Little lies lead to bigger lies. Fully scripted presentations included with relevant verses. BONUS: Includes x3 articles on illusion. 'The Invisible God', 'The Truth Behind Illusions' and 'The Illusion of Reality'. Of course, it's the yellow boomerang that's shorter...perhaps! A great opening trick, as everyone in the audience can experience the illusion for themselves. No sleight of hand needed. You can perform this immediately. Ideal for school assemblies, youth groups and church services. Comes complete with: 2 perspex boomerangs, one red and one yellow (28 cm long) and our exclusive 16 page booklet. with illustrated instructions, 4 original presentations, 3 articles on illusions, ideas, gags and jokes to help you get the most out of this clever optical illusion! NEW - Nails Thru Balloon - PRO - Baffling Illusion kids love. Pierced for our Transgressions.